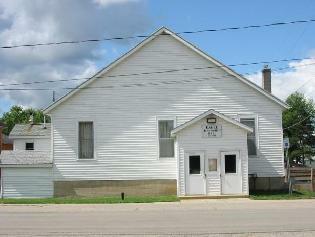 Eagle Township is located in the southwest corner of Clinton County about 15 minutes Northwest of Lansing. It has the Grand River running through the southern part of the township and the Looking Glass River running through the middle of the township. It has the I-96 corridor with exit ramps at Wright road (M-100) and one at Eagle/Westphalia. We are a typical rural township with economic growth in the I-96, M-100 and Grand River Ave. corridors all located in the Eastern section of the township. The biggest portion of the Township is cash crop farming with moderate residential grow. We have three school districts Pewamo/Westphalia, Portland and Grand Ledge with Grand Ledge being the largest. The mission statement of the Eagle Township board is to look forward toward the next decade to develop the community at a reasonable growth rate and yet protect the varied natural resources of the Township’s land and its people.